Hi there! My name is Aaron and I get the pleasure of telling you about one of the best ways to entertain guests at a public or private function. I know, you are full of questions like, “Can you provide me with something fun? Something dramatic that will break the ice among my guests?” Perhaps you might be thinking that you need to find a way to develop enthusiastic support for your charity event. Or maybe you have a reputation as a great party host and need the next big entertainment idea. Well I am here to tell you to bet it all, go all in, roll the dice and thrill your guests with a West Coast Mock Casino Party. 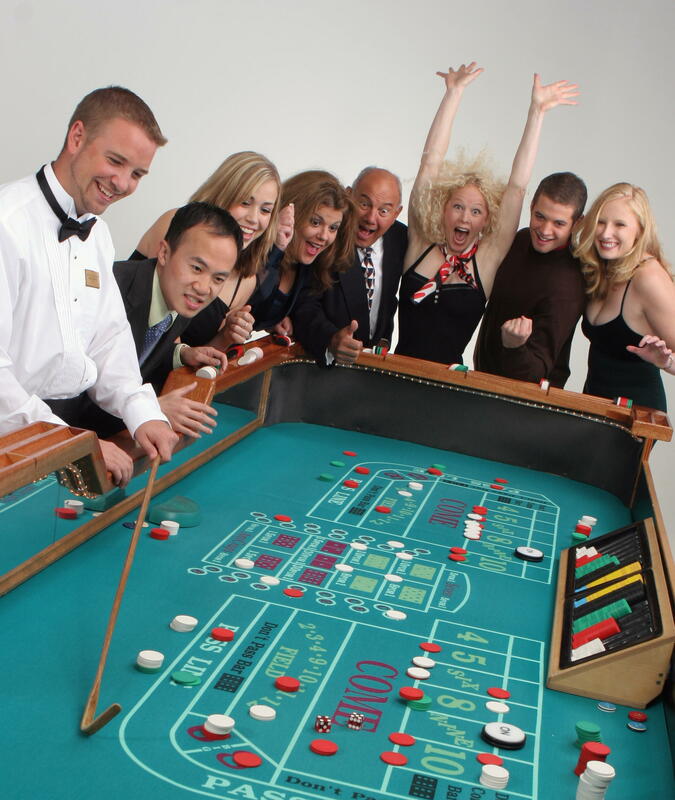 Whether for a personal celebration, company event or a fundraiser, look no further than West Coast Casino Parties for the excitement that only the premiere Seattle area casino party planner can create. For pulse-quickening excitement, nothing beats the sights and sounds of a West Coast Casino Party. (Just ask PEC – they often seek out our services for their events) Let that excitement work for you and experience maximum returns on your time and efforts. You’ll find your guests will have a great time… and so will you! Everyone loves to court Lady Luck and tempt the hand of fate. It’s a fascination that guarantees participation and a successful event. The best part of all is – we bring this fast-paced excitement directly to you! Our Vegas-style equipment provides a realistic setting. And, our formally-attired dealers, who have been trained and certified, provide all the action your guests will enjoy. We supply ONLY pro-quality, large style tables that offer more playing space and that real Vegas Casino vibe. Now I know, you might be asking, “What if my guests don’t know how to play casino games?”. Don’t worry! We provide a fun, non-threatening, learning environment and our dealers are trained to instruct your guests in the fundamentals of each game. Actually, learning to play the games is part of the fun for the guests, and less costly than learning them in Las Vegas with your hard earned money on the line. With our special “value-priced” packages, you’ll be able to easily stay within your budget. We provide FREE, no-obligation quotes and we are happy to answer all your questions throughout the planning process. For a FREE Quote and more information, please contact West Coast Entertainment at: 206.938.0569 and ask for Aaron or you can simply e-mail me at: aaron@wcent.com. One last thing….be sure to let us know you heard about us from Premier Event Connection, or better yet, give PEC a call and tell them you want West Coast Entertainment at your event. Either way we promise you unparalleled service and fun. For those of you that do not know I (Jamie) am destined to live a life of Gluten Free, Low Carb, Sugar Free eating. More importantly I lack the patience that is apparently required for cooking. I cannot seem to understand why if a cake bakes for one hour at 350, why it will not bake for 45 minutes at 450. Seems like simple math to me! Kale Chips: The recipe sounds pretty simple – toss in olive oil, sprinkle with salt and bake. At first try these seemed really good…and addicting! There was a very fine line between crispy and burnt. Who knew if you burnt them they will catch fire? I ate a few and was quite pleased with the end result but slowly I began to realize that my house smelled like burnt feet. Another little known fact – as it turns out you have to eat these treats right away. I saved them for the next day and they were AWFUL! All in all I think they were great in the moment but will probably not make them again. Almond Flour Crackers: These seemed promising. It was super easy to make the batter. Could have made them thinner, the thinner they are spread out the crisper they get. Of course, nobody told me (and I don’t consider this common knowledge) that wax paper should be peeled off BEFORE actually cooking them. I had to throw the first batch out because they were stuck to the wax paper. I will say that they were tasty little things…kind of like nutty flavored wheat thins. Gluten Free, Carb Free, Sugar Free Bread: Here is where things really got tricky in the kitchen. I did not want to use all of the almond flour I had purchased for bread. (considering that it’s $8.00 for two cups!) So since I had coconut flour on hand I decided flour was flour right? So I went with a half and half mixture. Again, I do not think this is common knowledge but apparently coconut flour is a SUPER flour and is super absorbent. It soaked up all my eggs and milk like a sponge. As it turns out (according to chef Google) coconut flour has to be used quite sparingly. For example, a loaf of bread made with almond flour takes 2.5 cups of almond flour. A loaf of bread with coconut flour takes 1/4 cup of coconut flour! So here I am with my 1.25 cups of coconut flour, and 1.25 cups of almond flour trying to make a “batter”. I just kept adding eggs, cream, and water and figured I would just see what would happen! I had to cook it twice as long. It smelled good, looked like normal bread, sliced like bread but it was so DENSE, I had to drink a glass of water just to get it down. Tried toasting it and ended up watching it crumble to pieces. I saved the loaf and have decided I will try to make French toast with it but I am going to have to officially call that one a do over. Gluten Free Carb Free Bread 1, Jamie 0. I am going to try to make crepe lasagna next….maybe…. So it has been said before but the staff at PEC loves to laugh and have fun. We know that business is business but who said it can’t be fun? No matter the focus of their association with us – we love to laugh with our clients and vendors. We encourage our clients to have fun with the planning process of their events and firmly believe that if the planning process isn’t fun then something has gone wrong with our communication process. As business partners, I don’t think Jamie and I every go a day without laughing with each other over something, whether it is personal or business related. Some of our favorite event stories are guaranteed to garner a laugh and you don’t want to get us started on how truly hysterical our personal lives can be from the right point of view. Laughter lowers the levels of cortisol in the body. Cortisol suppresses the immune system. Lowering these levels enhances the work of the immune system and may prevent disease. You can stimulate your heart and lungs, elevate your blood pressure and improve breathing capacity by laughing. In terms of exercise, you can get the same benefits from laughing 100 times a day, as you can from 10 minutes of rowing. One good belly laugh burns off 3 1/2 calories. Laughing for 15 seconds adds 2 days to your life span. 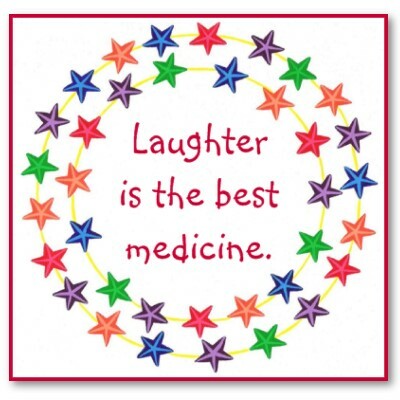 At PEC we believe that laughter is good for the soul and we hope you find reasons every day to laugh.